TEAKNET brings out a quarterly electronic newsletter (TEAKNET Bulletin) through its website. It is intended for circulation among the members of TEAKNET and other stakeholders around the globe. The Bulletin welcomes short articles, research results of non-technical nature etc. from researchers, teak growers and traders for inclusion as news items. To subscribe the online TEAKNET Newsletter, enter your email below. TEAKNET and IUFRO Teakwood Working Party (Div 5.06.02) with the support of FAO the United Nations Regional Office for Asia Pacific (FAO RAP), Bangkok successfully organised a Partner Event on Teak ”Mainstreaming High Quality Timber Production from Planted Teak Forests and Efforts for Conservation of Teak Genetic Resources” on the occasion of FAO’s 4th International Congress on Planted Forests 2018 at China National Convention Centre on 23 October 2018, Beijing. The Executive Director of IUFRO, Dr. Alexander Buck delivered a felicitation address and briefed about IUFRO, the world leader of global network of forest science cooperation and touched upon the teak related activities under the teakwood working party since almost a decade. 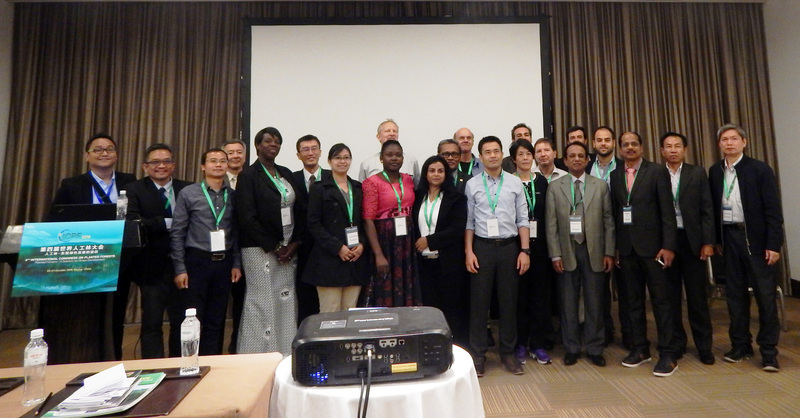 Delegates from Asia Pacific, South America, Europe and Africa attended the session. Participants from 20 countries deliberated over a wide range of topics on various issues of teak cultivation, conservation of genetic resources, forest landscape restoration, marketing and trade. Dr. Benjamin Caldwell (FAO-Rome), Mr. Kenichi Shono (FAO RAP- Bangkok) chaired the Sessions and Dr. Tetra Yanuaridi (ITTO – Japan) lead the panel discussion that followed. We are updating our TEAKNET Directory of Traders, Planters, Government Officials and Researchers in order to effectively link all the stakeholders across the globe and share information and events related to teak.